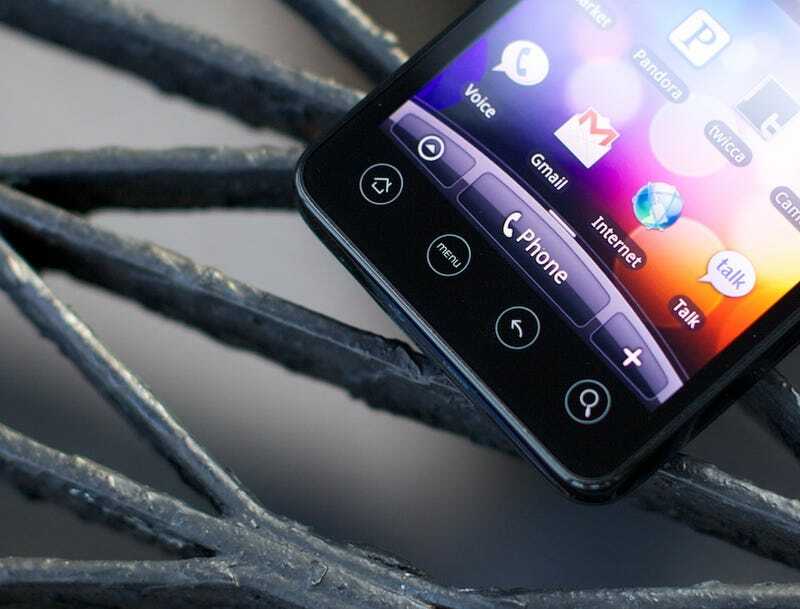 HTC's Evo might be the last phone running custom software on top of Android that you should even consider buying. Because the whole trend of skinning Android has become a horrible, dividing mess. The problem with an Android phone running a phone manufacturer's homebrew software, like HTC's Sense or Sony's TimeScape, is well known: You're going to wait a lot longer to get the freshest version of Android. That wait wasn't a big deal in the past. And considering Android's grander ambitions, I'm not so sure fragmentation is as big of an issue as some would suggest (which Google will tell you). But as of Android 2.2, you should still think a bit more deeply about which Android path you're going to walk down. They're awful. HTC's Sense interface was widely regarded for making Android better when it showed up on the Hero a year ago. Well, Sense is the exception, not the rule. Some truly hideous atrocities have been committed in the name of Android, like Samsung's Behold II. Not every skin is quite that offensive, but even what I'd consider the average, like Sony's interface for the Xperia X10, is cloying and confusing; with the Evo, even Sense started to feel a bit tacky. The point should be to make Android sexier and easier to use. They don't. Android's caught up. As of Android 2.2 Froyo, there is basically nothing any of the custom interfaces do that Android doesn't. A year ago, Android lacked a great many things, from social networking powers to decent Exchange support to remotely accessible settings. HTC's Sense filled in those massive gaps, once upon a time. But now Android juggles multiple calendars, smoothly integrates Facebook and Twitter into contacts (more seamlessly than any of the custom skins), lets you quickly access settings from the home screen, and even has built-in Wi-Fi hotspot powers. At this point, none of the custom software builds add killer features anymore. They're too slow. A corollary of the above point: Not so long ago, Android was behind the best of the custom interfaces. But now, Android is evolving so quickly, it not only caught up, it's zooming past those meddling with its software. Frankly, the custom interfaces need to innovate faster to make themselves worthwhile—as it is, it seems pretty likely that the next stock version of Android build will be superior to anything phone makers can offer (in fact, I would argue that 2.2 is already). But think about it: How likely is it that hardware companies are going to be able to keep up with Google, who finally seems to have hit its stride with Android? The reasons to buy an Android phone with customized software have effectively dissolved. They don't look better; they don't work better; and they'll hold you back from getting the latest and greatest updates from Google, possibly by many months. Most people don't care or even know that their phone really is a computer, meaning it can actually get better via the magic of software updates. But if you're reading this, you probably care. Android 2.2 is a markedly more excellent experience than 2.1. The best stuff at this point seems like it'll come from Google, so riding the bleeding edge of Android is the place to be, more now than ever. Maybe that'll change in another year, if Google slows down their release cycle as drastically as Android chief Andy Rubin says, to just once or twice a year. Which will be kind of a sad moment when it arrives—the thrill of Android, at least for geeks, is how fast it's moving. But that's when it'll be safe to jump on the slow road. Until then, I'll be sticking with the official, (probably) annually released Google phones. The Android army is growing every day—make this your destination for everything Android, including all the best new Android devices, when to expect updates and where to look for the best new apps.